Here you will find all information about the surroundings of Tenuta Madonnina and the main attractions in the area. The village of Castiglione di Sicilia, which determines the view from your holiday home, with the Gole d’Alcantara, Mount Etna and Taormina. 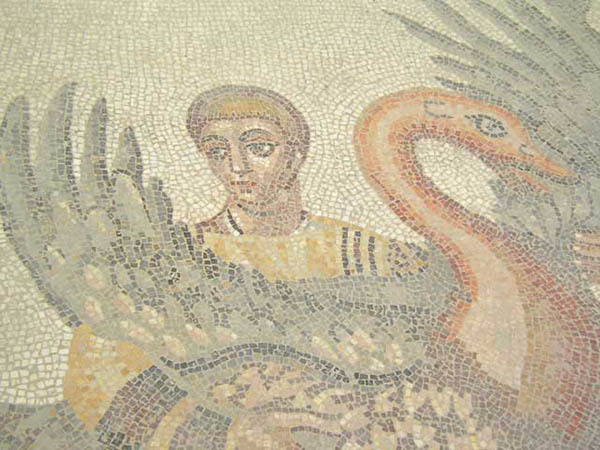 Further general information on other important sights in Sicily and the climate. 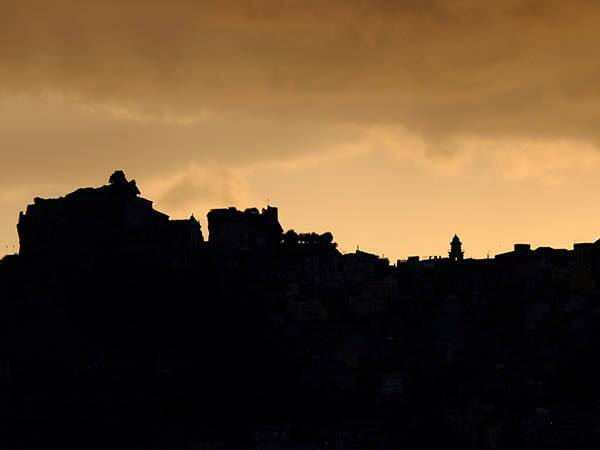 From your holiday home you can see the (wine) village of Castiglione di Sicilia. 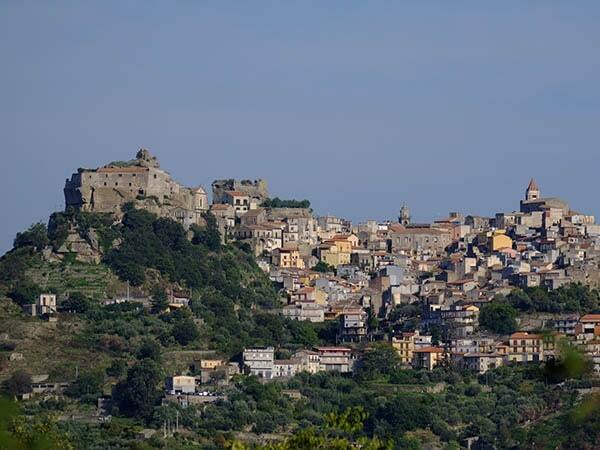 From your holiday home you can see the village of Castiglione di Sicilia. 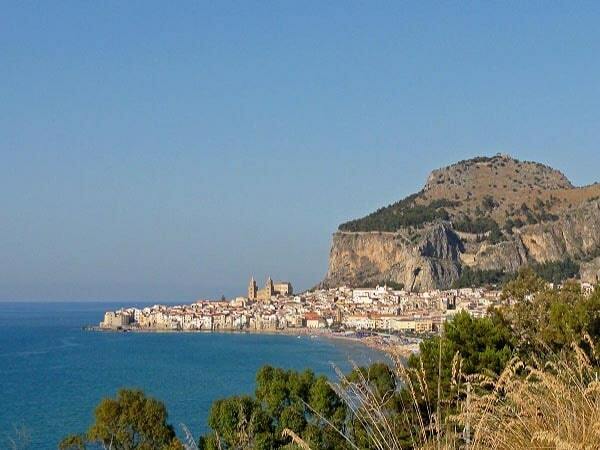 It is definitely worth visiting this village with the predicate “Borghi più belli d’Italia”, Castiglione di Sicilia is located on a cliff in the Alcantara Valley and was founded by the Greeks who built fortifications. 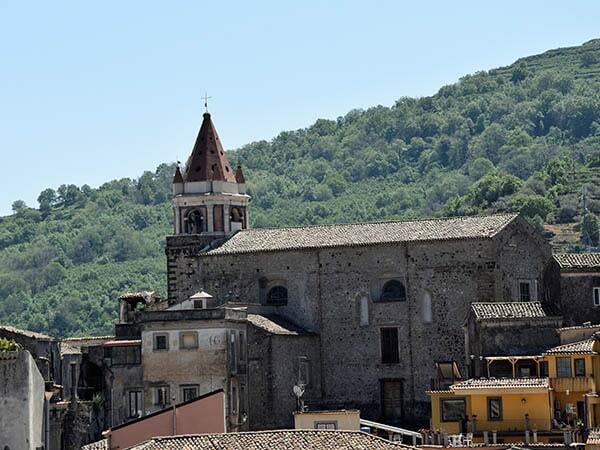 Castiglione di Sicilia became a royal city under the Normans and the Hohenstaufen. The medieval street plan is still completely intact. 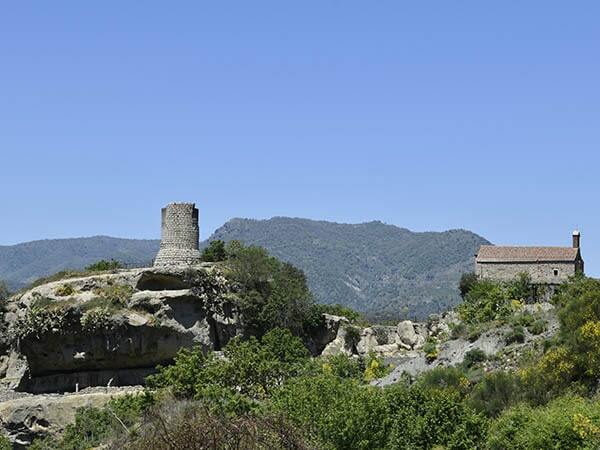 It is definitely worth visiting this village with its castle (open every day) and 20 churches. The views of the Etna and the valleys surrounding are breathtaking. Not far from the village lies the Gole d’Alcantara, or the Alcantara canyon. 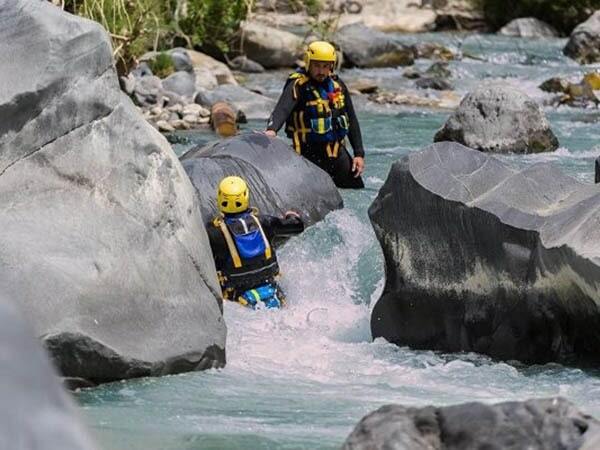 A canyon that through the flowing waters of the Alcantara River has been carved out in black basalt rocks. A fascinating and exciting attraction for young and old. 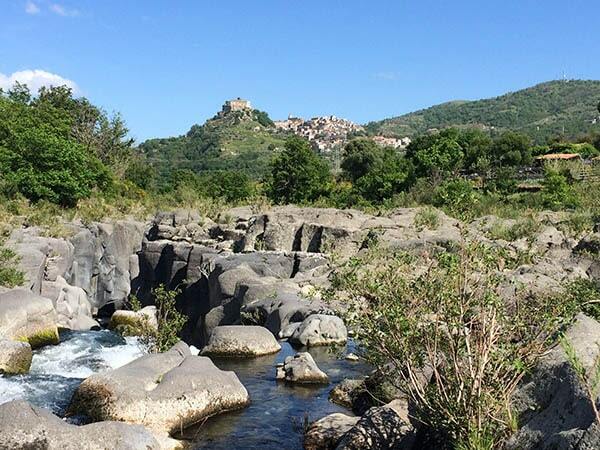 The Alcantara river and the Byzanthin Chapel are within walking distance of Tenuta Madonnina and we are happy to give you the hiking routes leading to the spot. 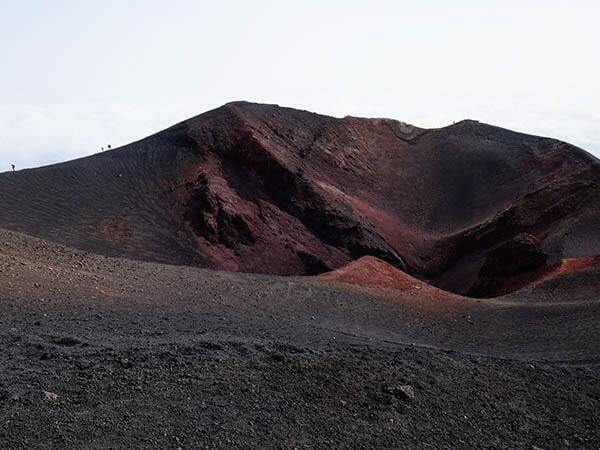 Mount Etna is Europe's largest still working volcano and determines the Sicilian landscape. 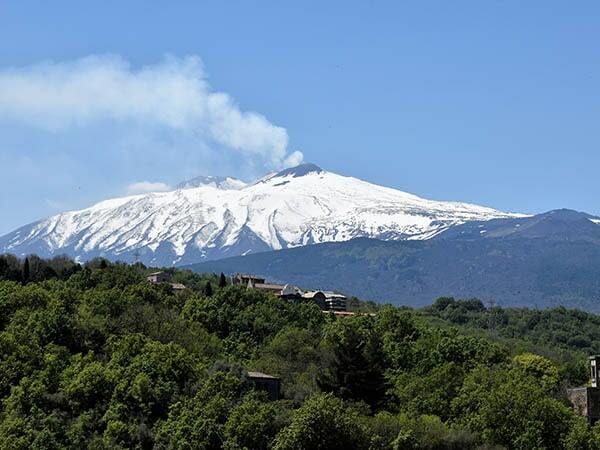 Mount Etna is Europe’s largest still working volcano and determines the Sicilian landscape. 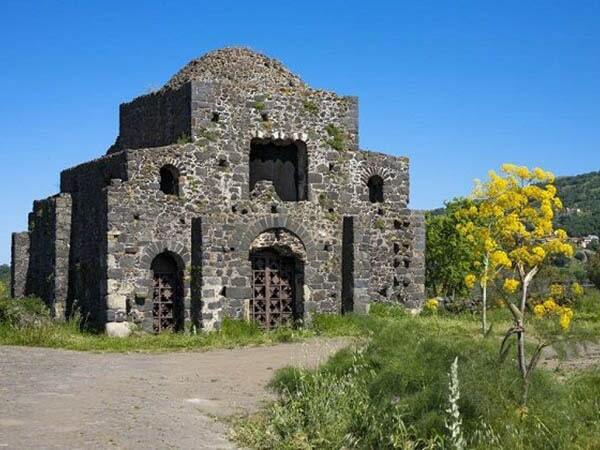 Parco dell ‘ Etna is protected natural area with an area of 58.000 hectares. The volcanic grounds in the lowlands around Mount Etna make the soil very fertile there. Among the 1.000 meters grow almonds, olives, grapes, citrus fruits and all kinds of vegetables. This very popular tour is suitable for our guests of all ages. Our local guides, Francesco and Alfio come and pick you up at the reception of Tenuta Madonnina with a big Landrover Jeep, to make a wonderful ride to Piano Provenzana. Via small lanes it goes up to Rifugio Ragabo, where a volcanic cave is visited. Via the ‘ Road to nowhere ‘ and after seeing several sheep herds it goes towards Etna Nord (1.800 meters). Here in winter the cable car and drag lifts for skiing and in summer this is the end point where ordinary cars can come. The guides go from here with guests on foot up to various craters from the year 2002. This was the last major eruption on the north side where several hotels and drag lifts and other facilities were devastated. 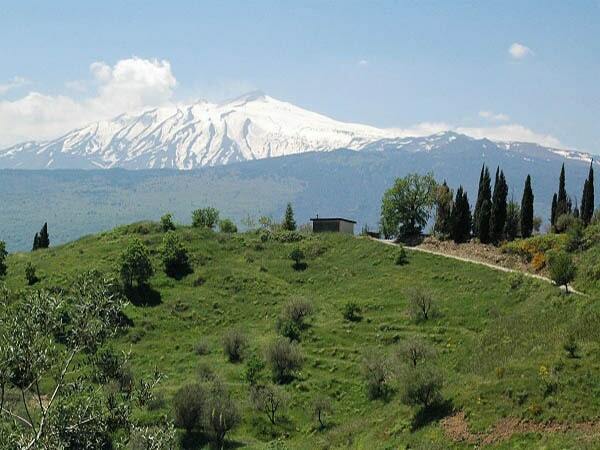 The enthusiastic explanation and tireless love for the Etna of these guides are a very valuable addition to this Etna-visit. 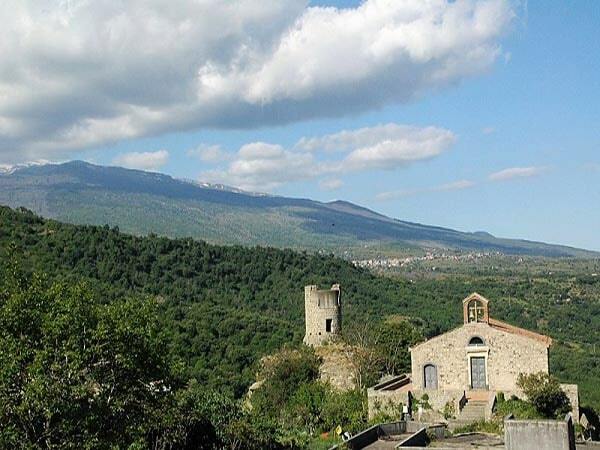 When guests of Tenuta Madonnina want to visit Mount Etna on the north side, this can be via the three-quarter route from Linguaglossa via Mareneve and the beautiful pine forests to Piano Provenzana. Here you can make an excursion with a STAR busses. How high the excursion goes depends on the level of ‘ Mongibello Etnea ‘ (as the Etna is called in local dialect). The excursion is possible in the period 1 May to 1 October. For more information on the last large eruption in 2002, see the consequences and current situation on this movie. Another popular trip is that of Zaffarana to the Valle del Ballon, the spectacular gorge formed by the eruption of 1992. This is also the area where recently also eruptions and the earthquake was. The trip to the big craters on top is a challenge for every hiker! The trains of the Ferrovia Circumetnea follow the road up on the slopes of Mount Etna. Passengers see alternating bald pieces of black lava and lush vegetation. The train departs from Catania-Borgo station and is easy to reach by metro that leaves from Catania CS. Four times a day the circle around Etna is driven to Riposto the end station. 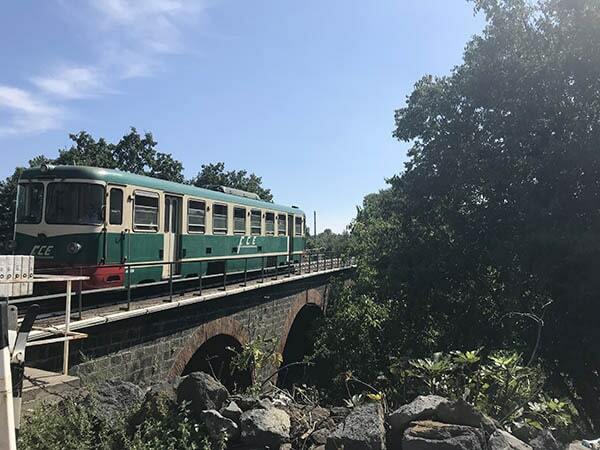 All this at a speed of about thirty kilometers per hour, so that the historic train rides the more than a hundred kilometers in almost four hours. The magnificent view of the terraced vineyards, the almond and hazelnut groves and of course on the volcano itself are worthwhile. A ticket costs about €10,-. Linguaglossa is the largest village on the north-eastern slope of Mount Etna and the starting point for numerous excursions to the crater and the ski slopes. The name is derived from a 17th century lava stream that was called Lingua Glossa (tongue ). The streets are paved with lava and the houses have wrought iron balconies and beautiful wall paintings. Randazzo is 765 metres above sea level and built in Lava stone. 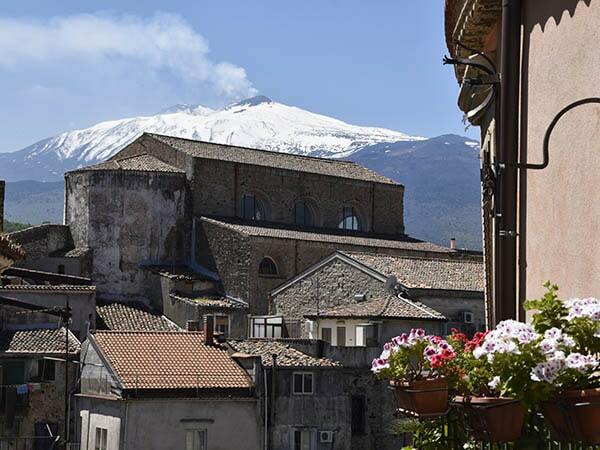 This city is closest to the craters of Mount Etna, but has never been struck by a lava flow. Want to eat out? We like to recommand one of the many Ristorante where the “Nonna” is often the cook and how puts the most delicious Sicilian regional dishes and specialties on the table! The town of Bronte, located on a terrace slope of lava Stone was founded by Charles Five, who wanted to concentrate the population in the region around Randazzo. Bronte is best known for its pistachio nuts. In October the famous harvest and pistachio festivals are here. Taormina is approximately 35 km. 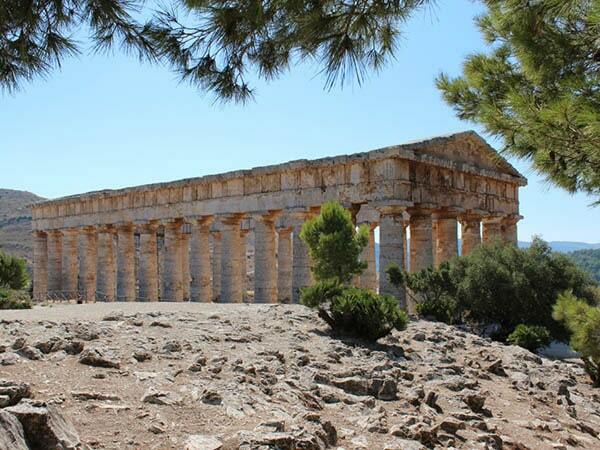 of the estate and is one of the most famous tourist destinations of Sicily. 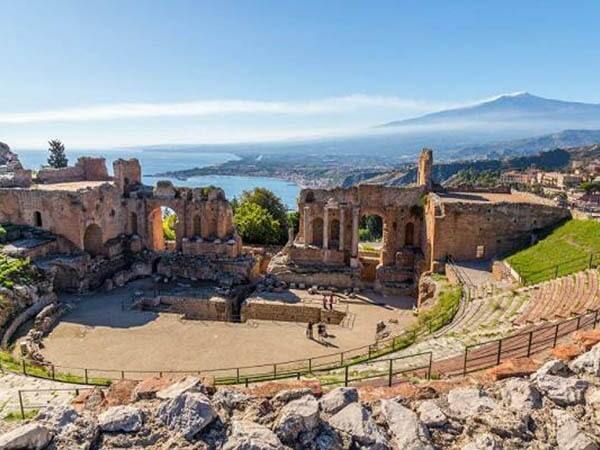 Taormina, approximately 35 kilometers from our estate, is also called the Pearl of the Ionian coast. A visit to the city where the G7 largest world leaders held their meeting at the end of May 2017 is a must! 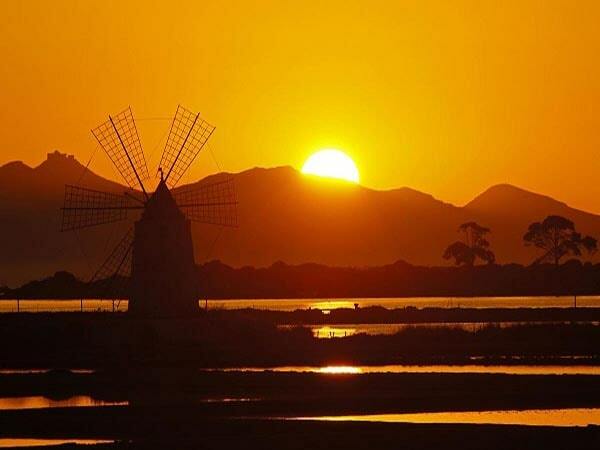 It is also one of the most famous tourist destinations in Sicily. There is always a lively bustle in the high-altitude coastal town. Because of the wonderful micro climate the temperature here never comes below 15 degrees. The worth of visiting are the Greek Theatre. 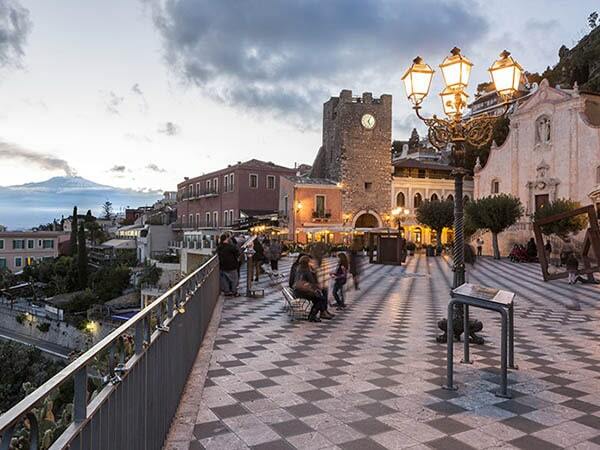 For shopping, Taormina is a paradise with the pleasant shopping street Via Umberto where the shops with beautiful, luxurious, designer brands are located. 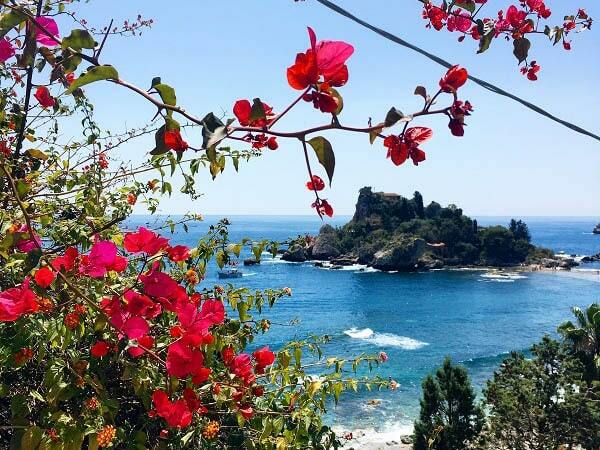 Of course the beautiful beaches of Isola Bella and Mazzaro for the relaxation by the sea, a nice addition to a visit to Taormina. 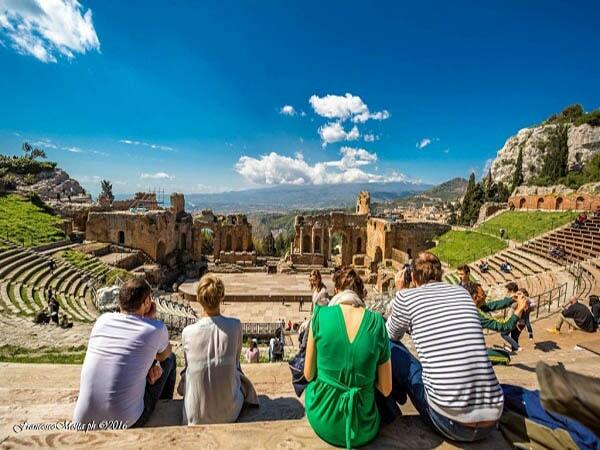 See this movie for a first impression of Taormina. 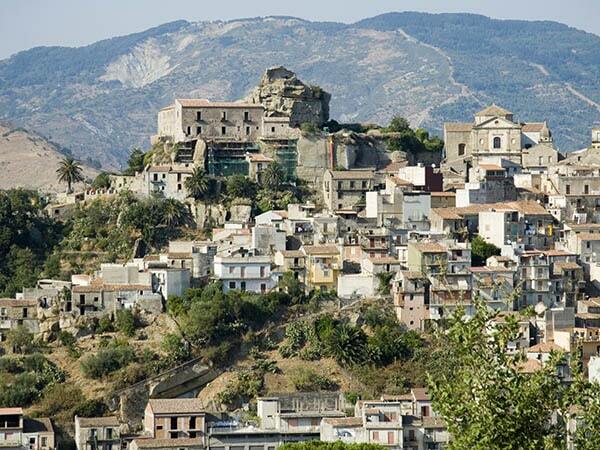 Arriving in Taormina you can also continue for 5 kilometers further to the rock-built village of Castelmola. A beautiful little village with the ruin of a medieval castle and the most beautiful view in the world on mainland of Italy. Especially at sunset! To the north of Taormina and Letojanni there are a number of beautiful mountain villages, from where you will also have beautiful views of Calabria. Also the historical village centers and their inhabitants are worth visiting. The villages of Forza d’Agrò and Savoca are famous for the Godfather films. Beautifully situated above Sant’Alessio, Forza d’Agrò is built against the rocks and the old castle is the attraction. Sávoca is more inland and is known for “Bar Vitello” (now small museum). This village has been brought back into the old state and has become the preserve of many artists and life lovers. Sicily has so much to offer that it is impossible to appoint everything. We give a small overview here. Sicily has so much to offer that it is impossible to name everything on this site. 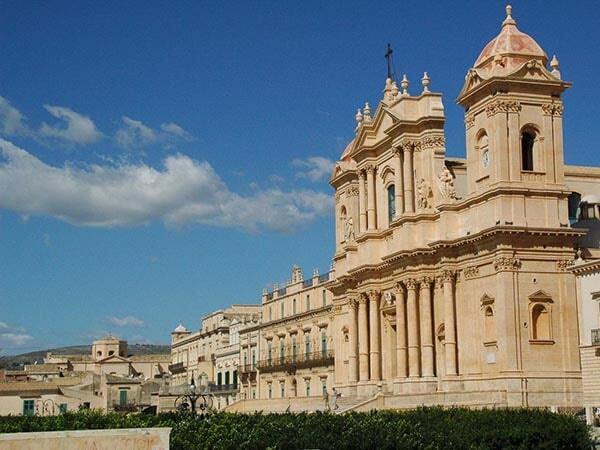 Of course we advise our guests the beautiful city of Siracuse, the Porceleinstad Caltagirone, the fantastic valley of the temples in Agrigento, the famous mosaics in Piazza Armerina, the dazzling cathedral in Monreale and the famous Greek temple In Segesta. On our pages above, however, we limit ourselves to sights in a radius of about 30 kilometers around Tenuta Madonnina.